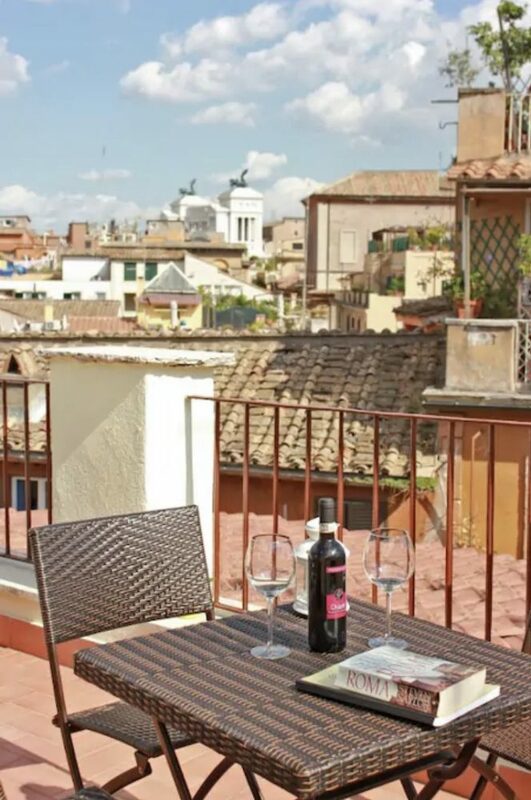 Renting an apartment with an outdoor terrace is an ideal choice for a stay in Rome. 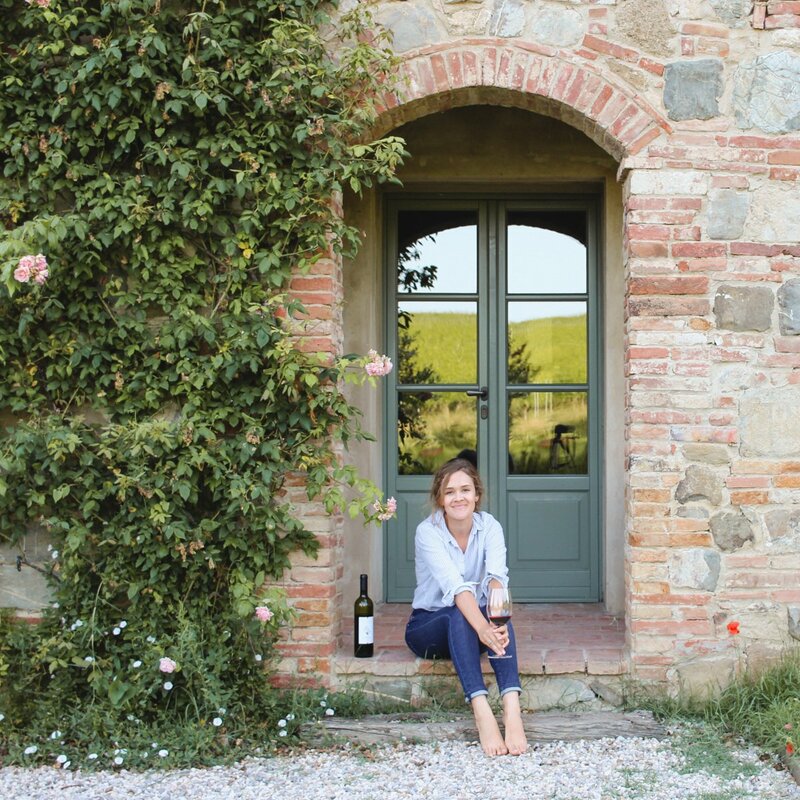 Over the years of traveling in Italy, I’ve been building up my wishlist whenever I see a memorable listing. 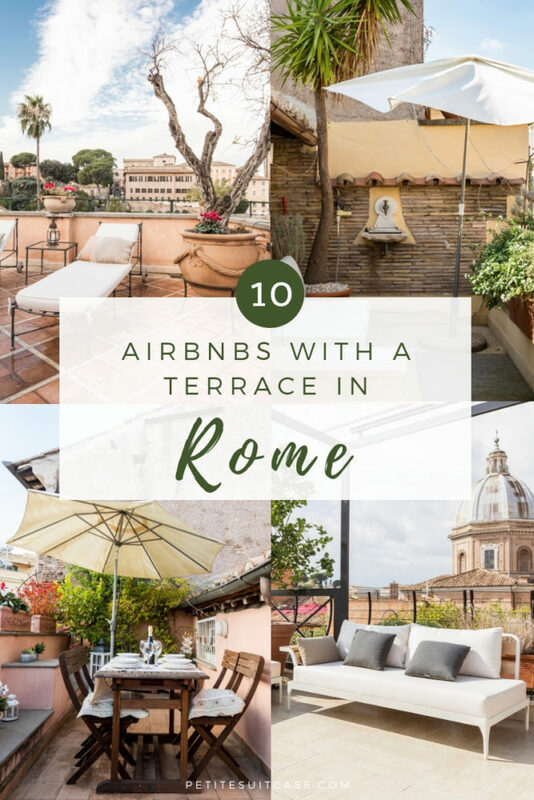 These are some of the most unique and stunning Airbnbs in Rome with a terrace. 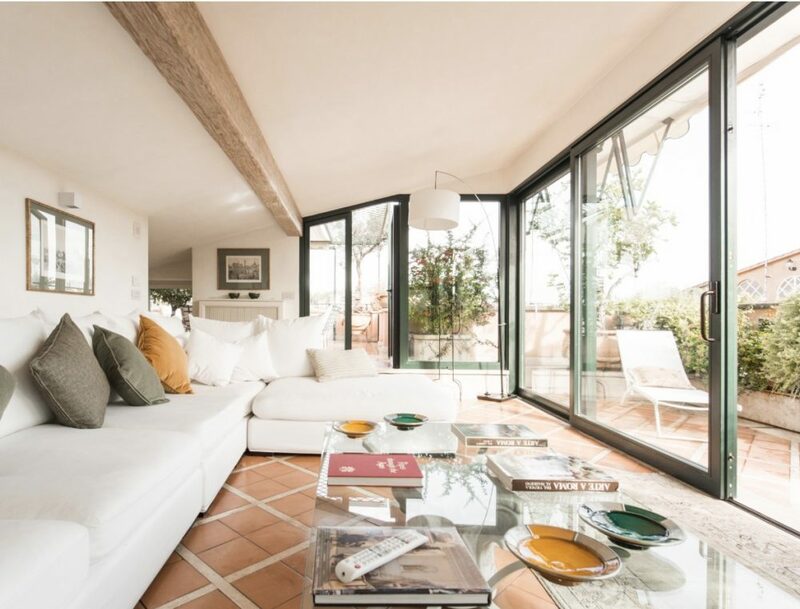 I also included two listings from One Fine Stay, a luxury alternative to Airbnb. 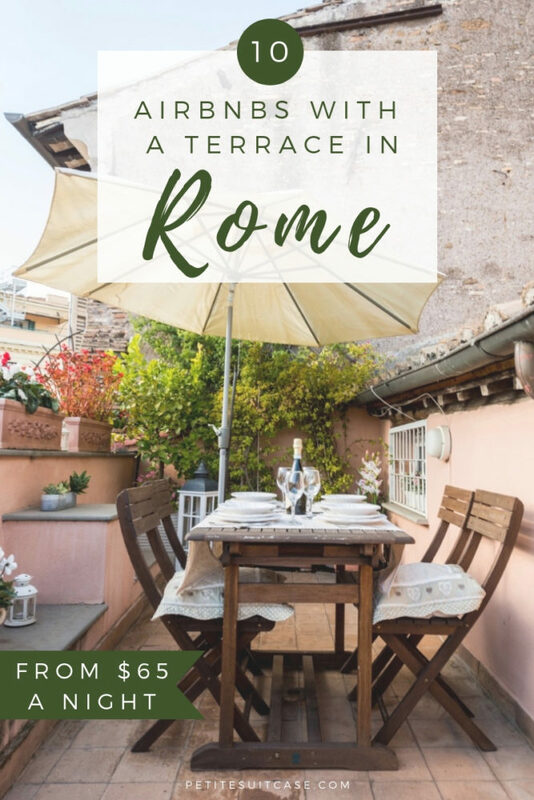 You know that scene in Eat Pray Love where Julia Roberts is standing in amazement on the top of Castel Sant’Angelo, looking out onto a sea of Roman rooftops studded with church domes, hair blowing in the wind? 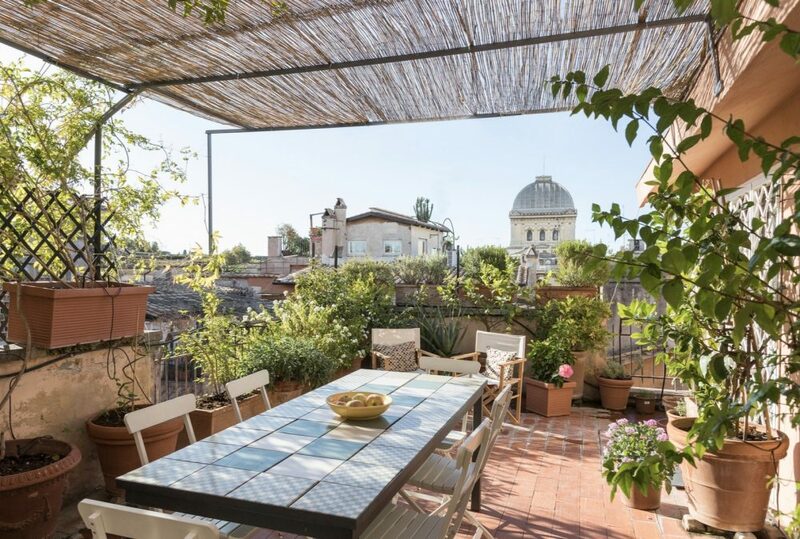 That could be you – only every day when you walk out onto your terrace (coffee or Aperol Spritz in hand, you choose) if you rent one of these apartments. 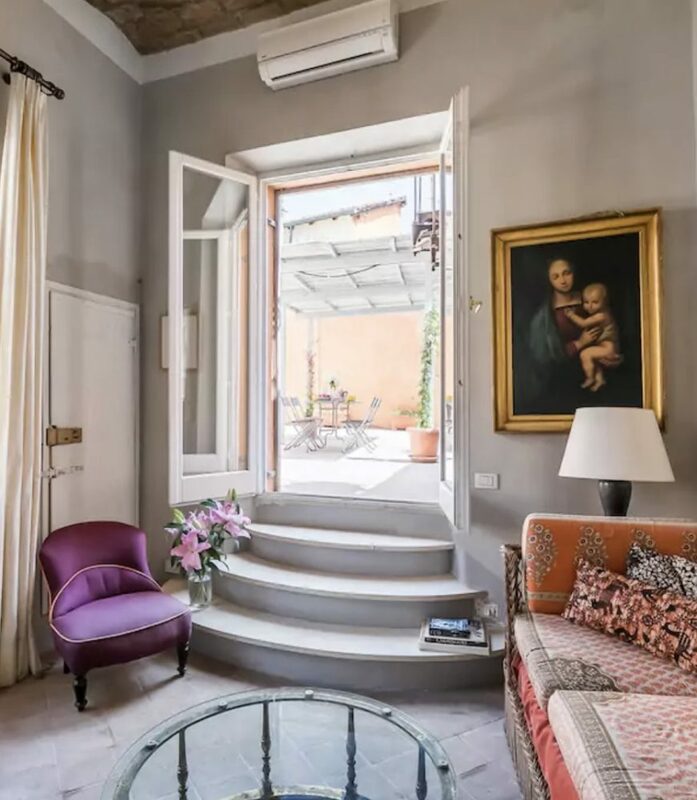 *All photos are sources from Airbnb or One Fine Stay and belong to their owners. This post includes affiliate links. Read my policies for details. 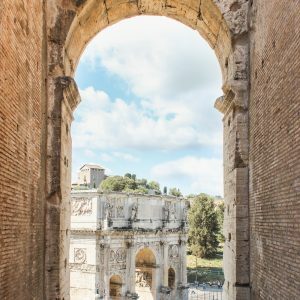 When renting an apartment in Rome or anywhere in Italy, you’ll want to make sure it has AC if you’re visiting in the summer months. 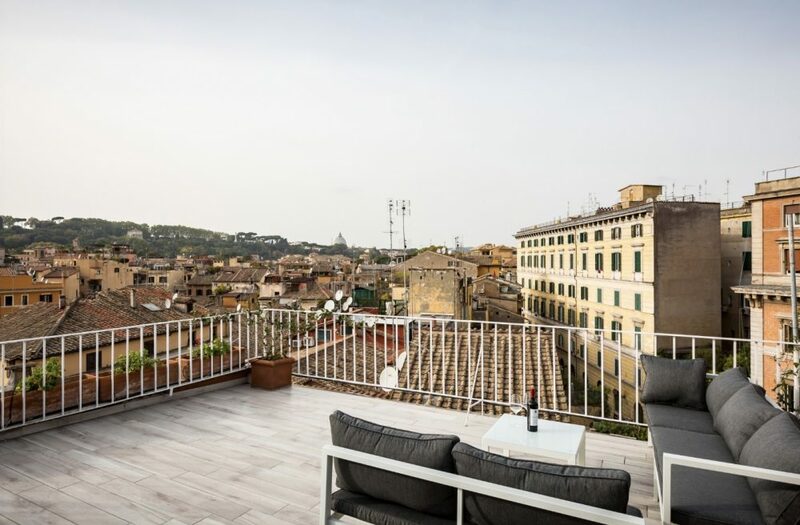 Rome can get hot and humid, so you’ll want a cool and refreshing apartment. Elevators aren’t always a given and space is tight. 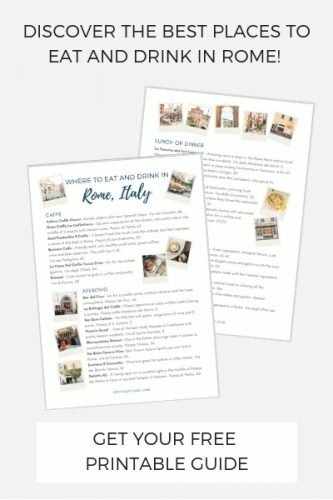 Read more of my tips and what to expect in this post. Apartments listed below start with lowest price and move to larger/more expensive. 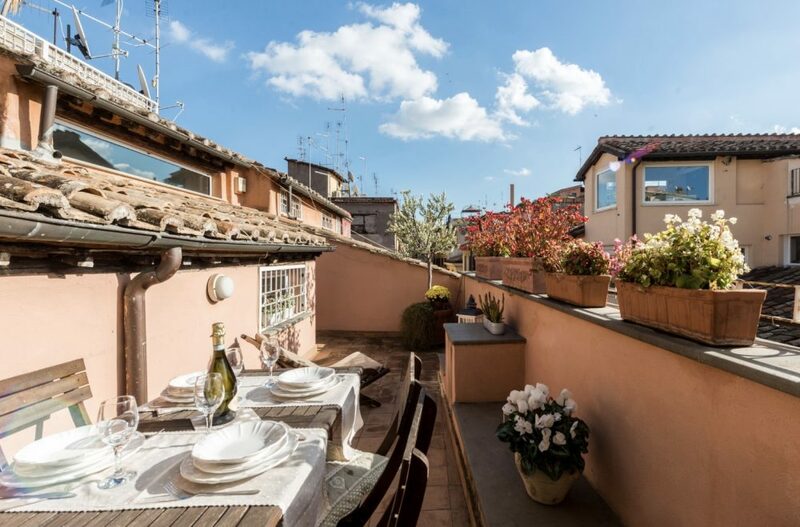 While this cozy little apartment doesn’t have a full rooftop terrace, it’s charming balcony fits the bill. 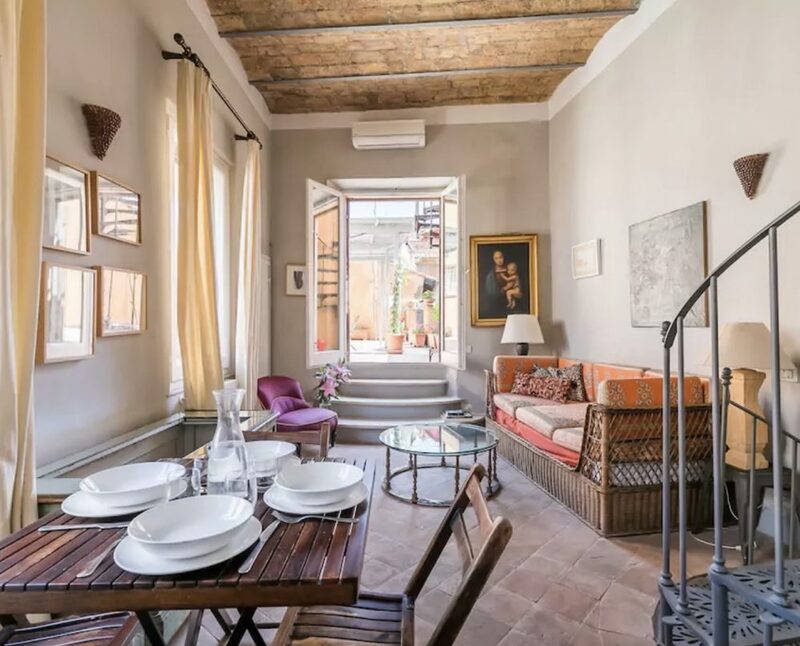 Even in the high season, you can book this Airbnb for about $100 a night. 2 guests, from $63 a night. Check availability and pricing. 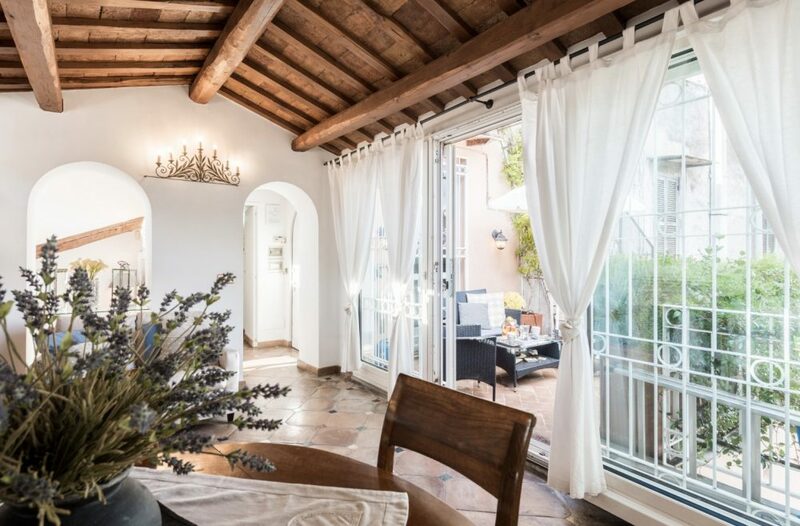 Terracotta tiles – check, spiral staircase- check, wooden beams- check, terrace overlooking Piazza del Biscione- check. 5 guests, from $75 a night. Check pricing and availability. 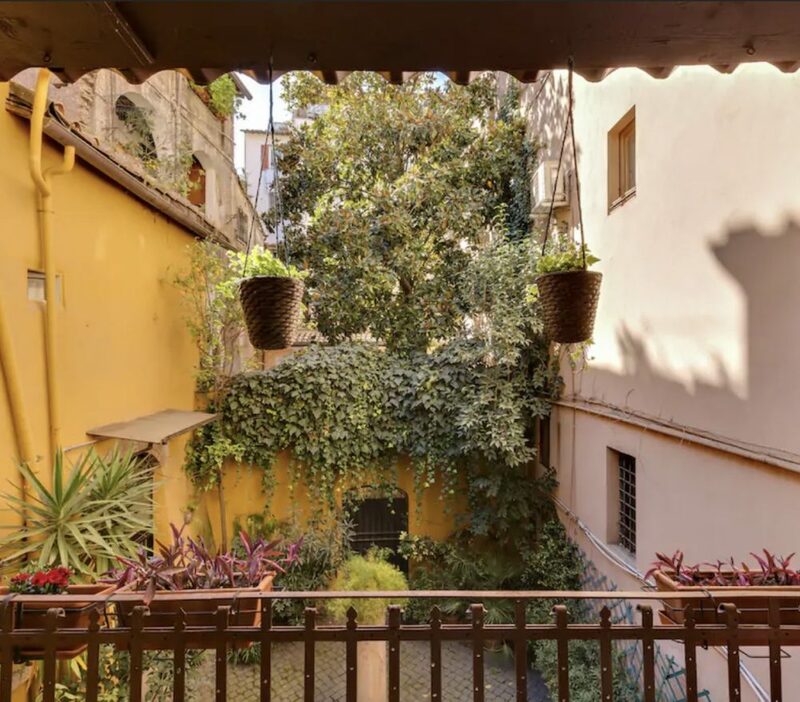 You can see multiple monuments in Rome and a charming courtyard below from this apartment’s terrace. 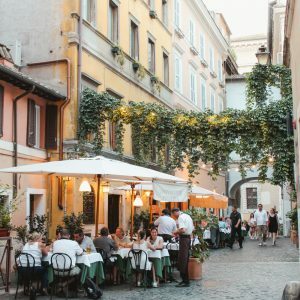 Campo di Fiori is also right at your footsteps. 5 guests, from $85 a night. Check availability and pricing. 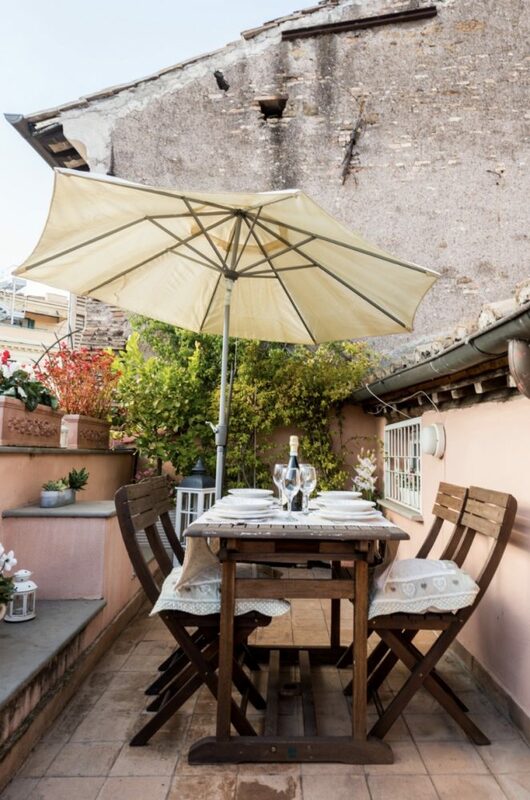 This terrace looks like the perfect place to relax (possibly nap?) after a long morning tour. 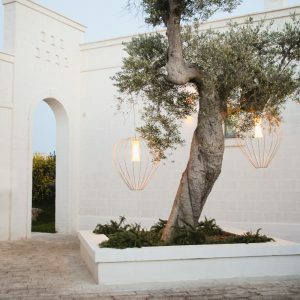 4 guests, from $90 a night. Check pricing and availability. 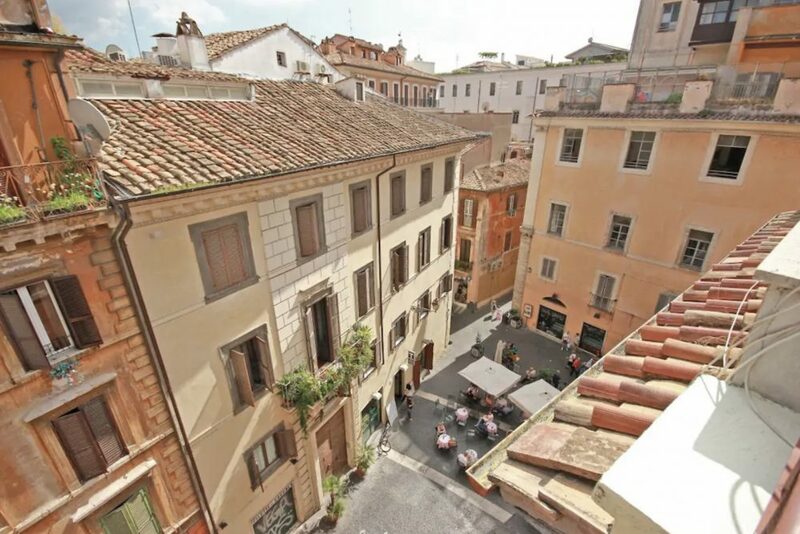 Excellent location near Piazza Navona with not one, but TWO outdoor patio areas! 6 guest, from $160 a night. Check pricing and availability. With 5 beds and colorful accents, this apartment would be a nice choice for large groups and families. 6 guests, from $190 a night. Check pricing and availability. 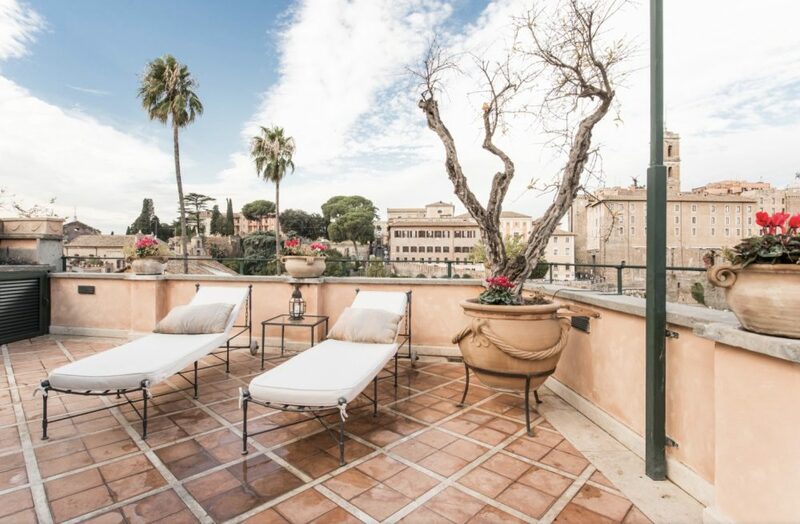 Luxurious and spacious apartment with an incredible view of the Roman Forum. 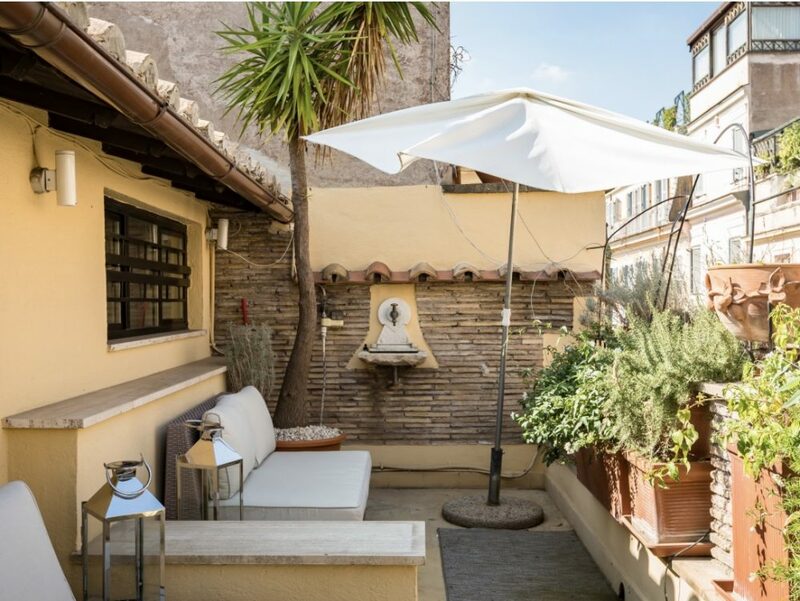 Literally, Rome’s antiquities are in your backyard when you stay at this apartment. 6 guests, from $372 a night. Check pricing and availability. 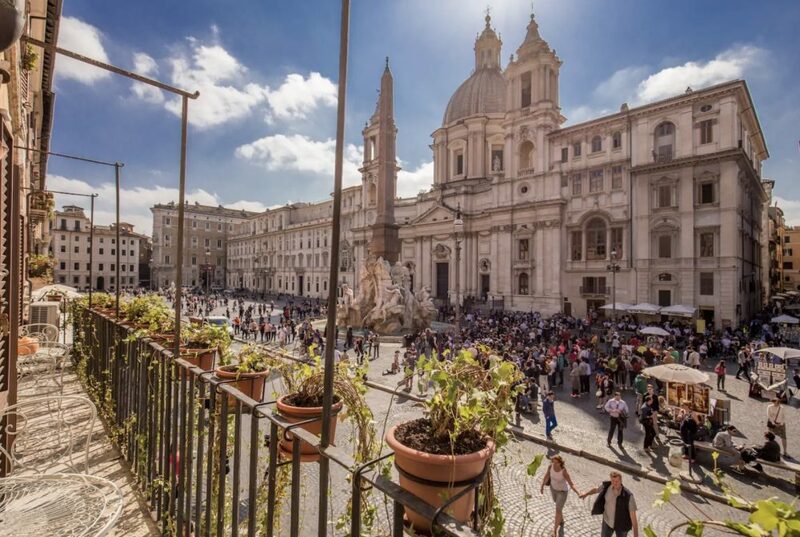 You can’t get any closer to the action in Piazza Navona. 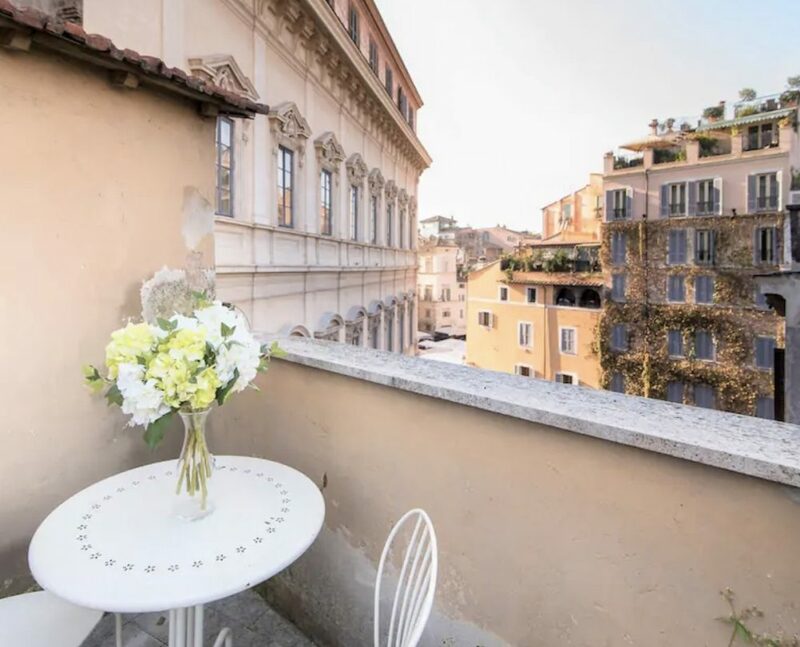 This would be the most prime spot for people watching with a glass of wine. Bring your earplugs though. I bet it is noisy at night. 10 guests, from $399 a night. Check pricing and availability. 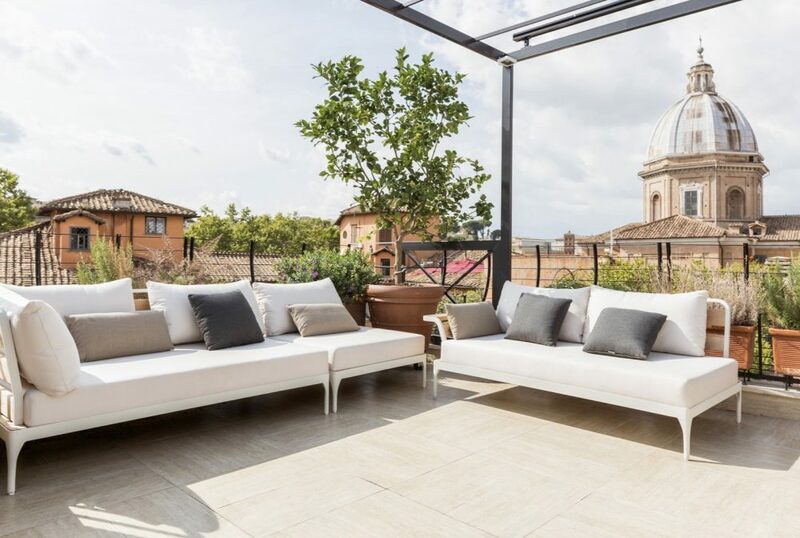 Get views of St. Peter’s in this contemporary apartment with a rooftop terrace. 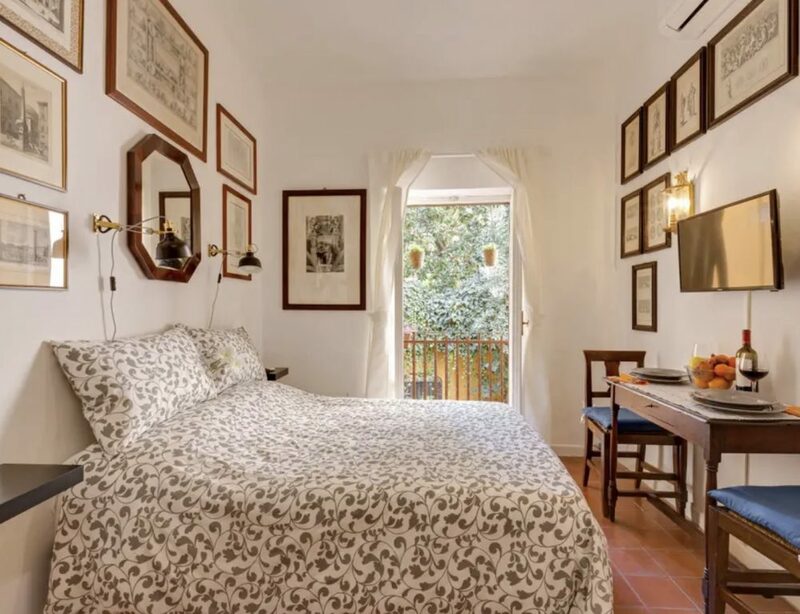 4 guest, from $491 per night. Check pricing and availability. 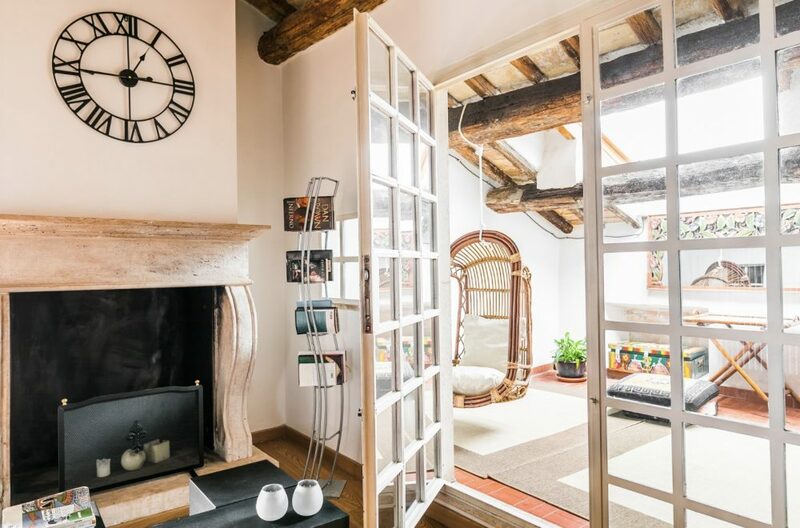 Not only does this apartment have a spacious terrace with a view of Roman rooftops, it’s decorated with a perfect blend of antique Italian style and modern comforts. 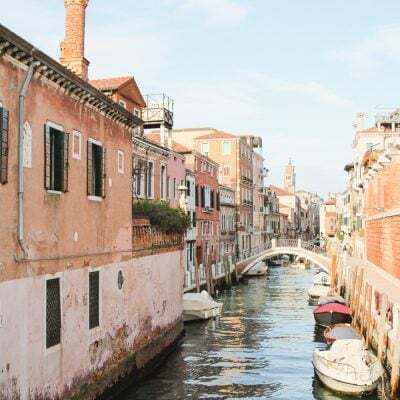 3 bedrooms, from $611 a night. Check pricing and availability.